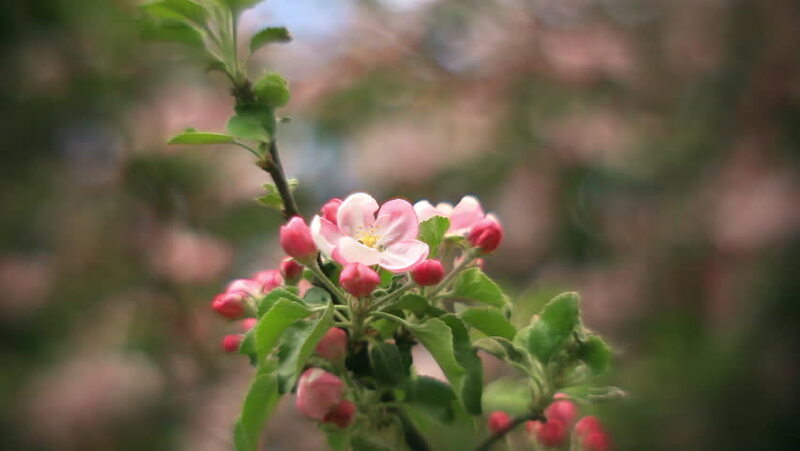 Inside round panorama of pink apple blooming branch with softened effect and unusual background. Amazing natural backdrop for excellent intro in hypnotic full HD clip. Concentric roundabout shooting.